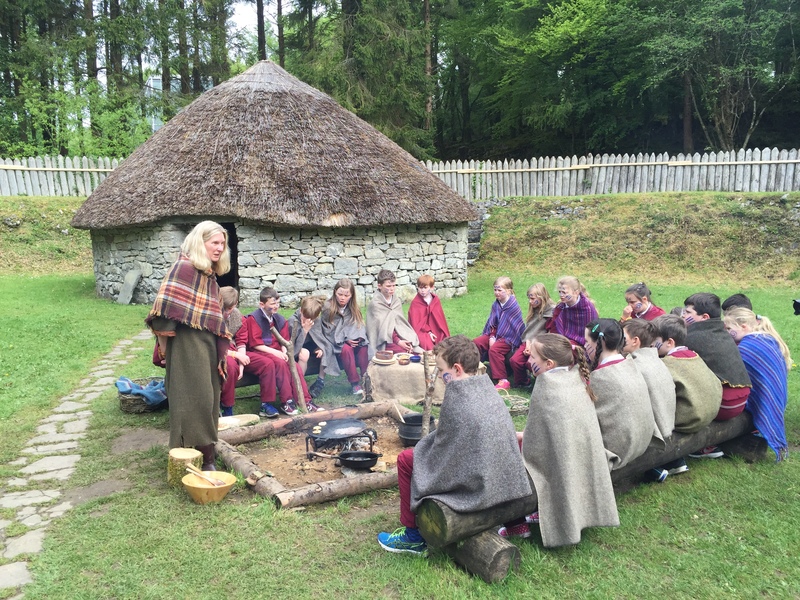 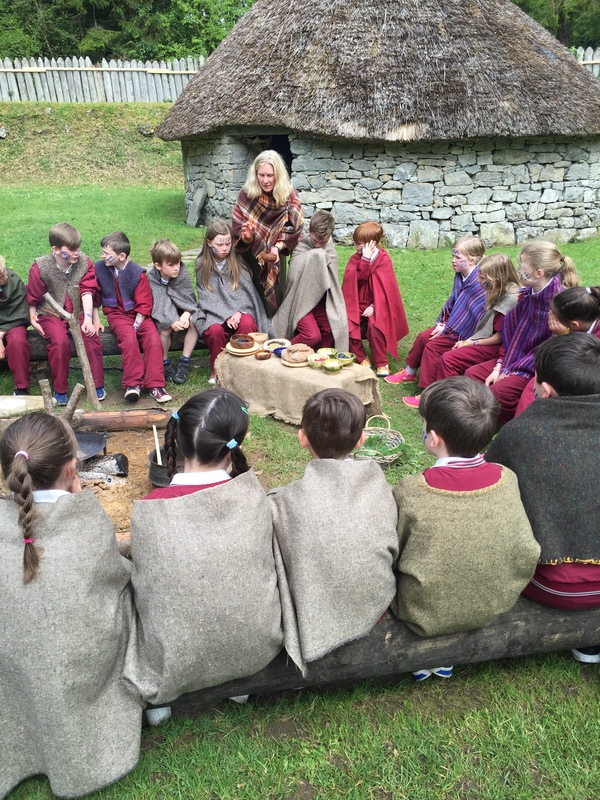 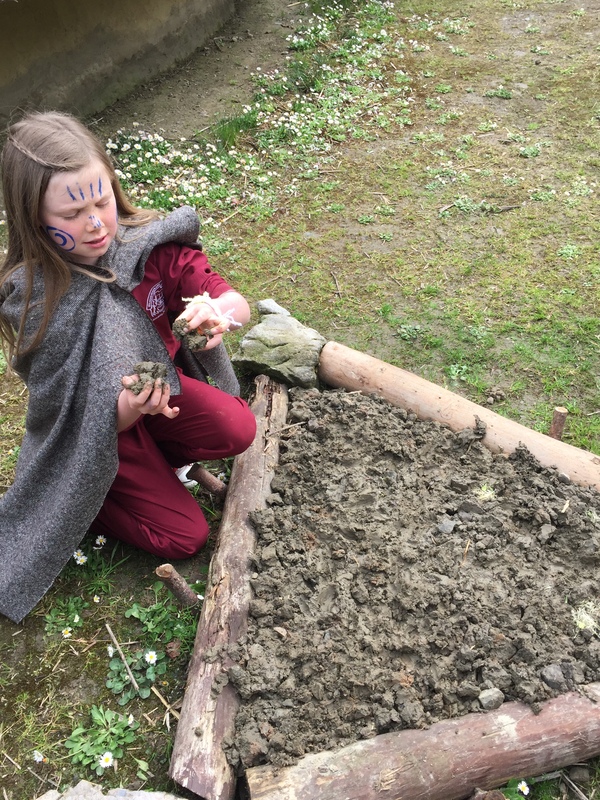 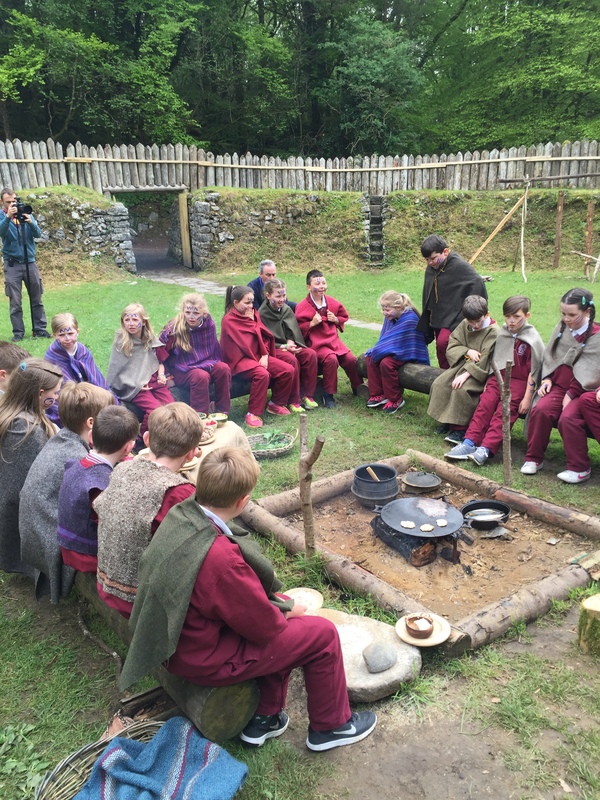 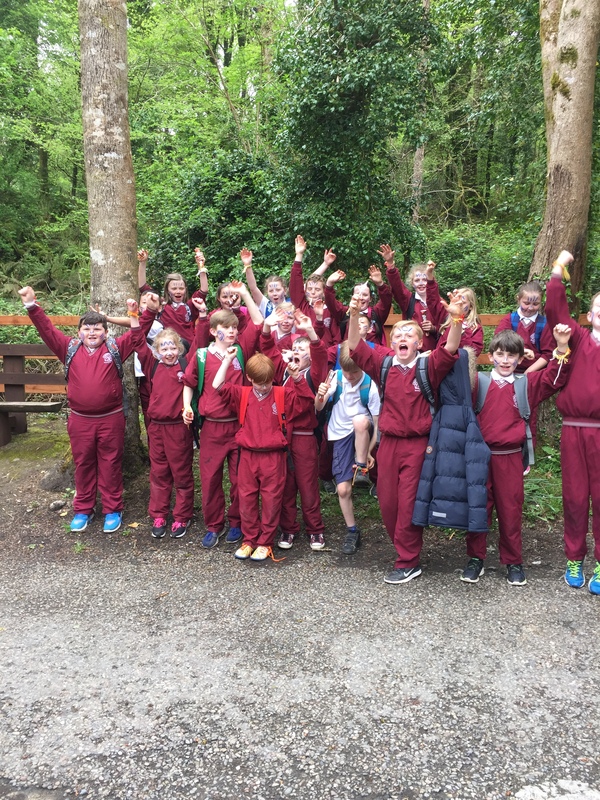 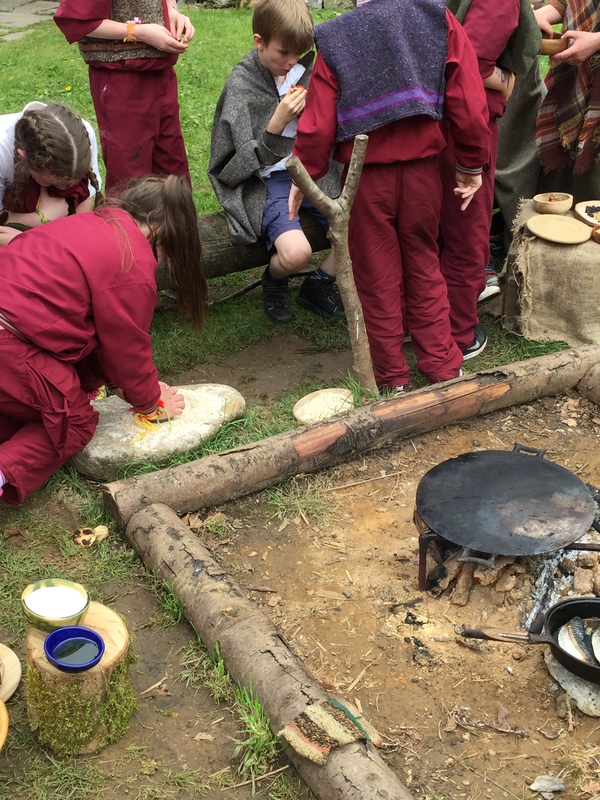 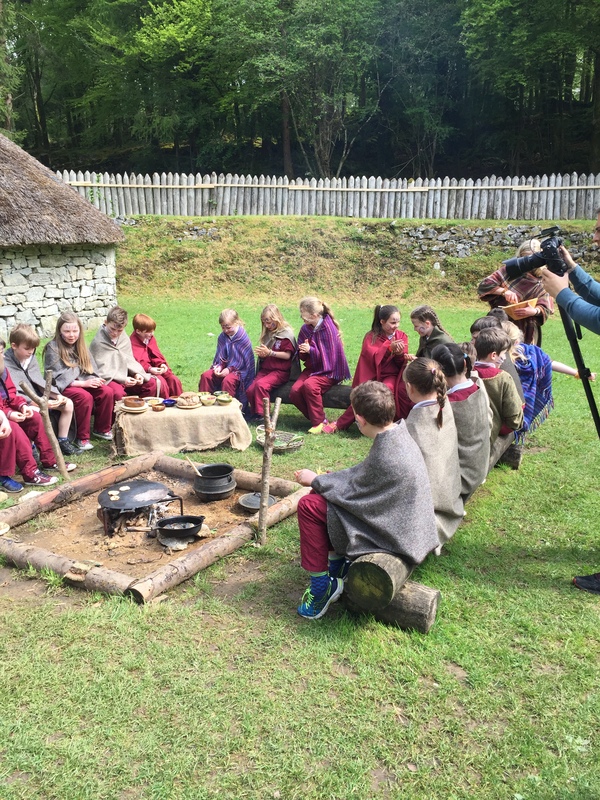 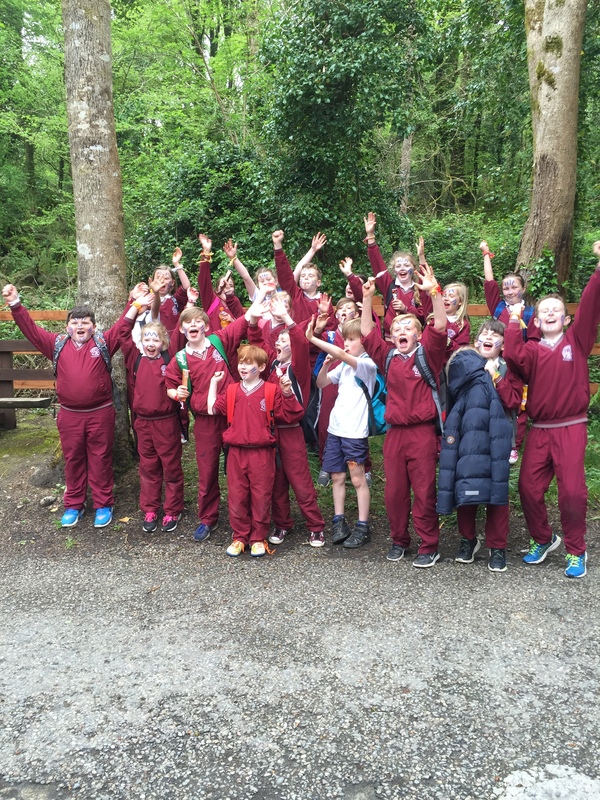 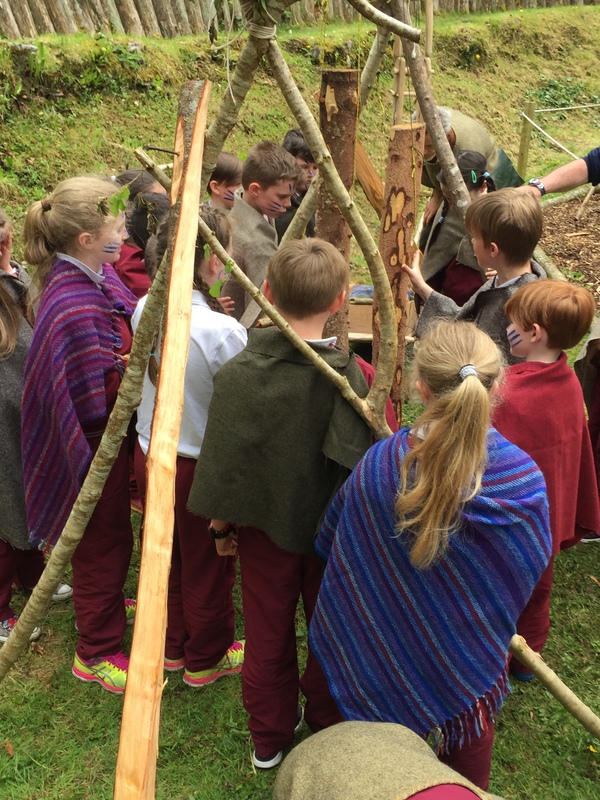 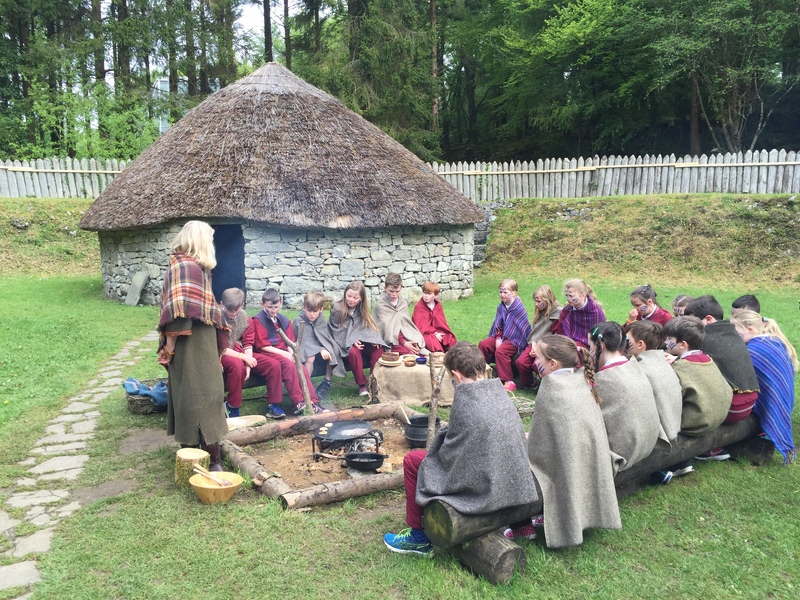 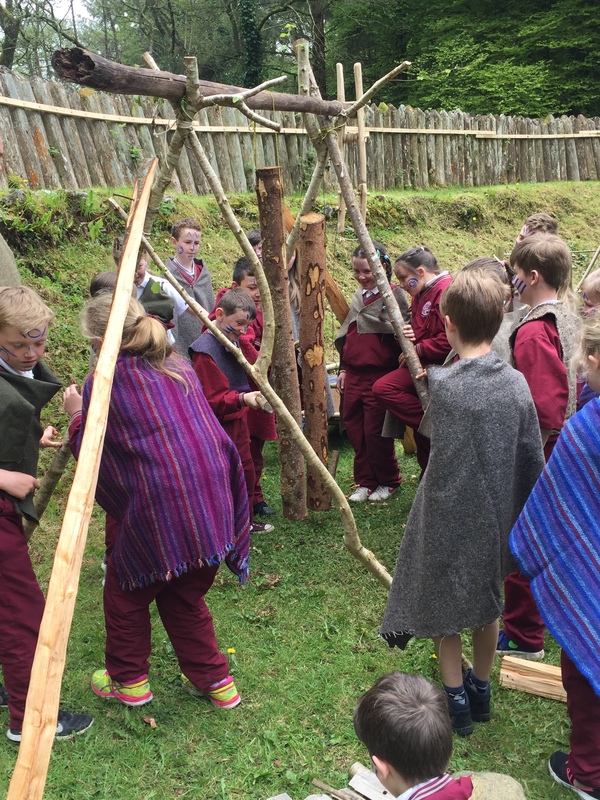 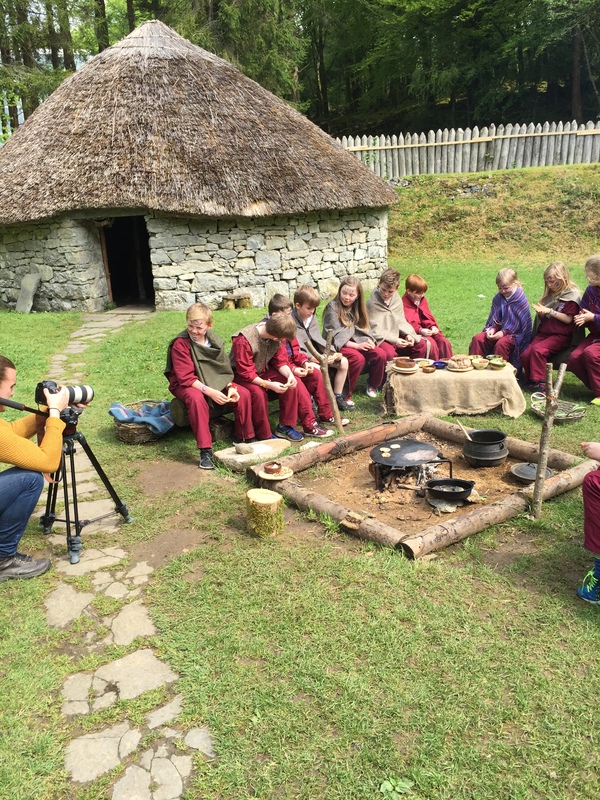 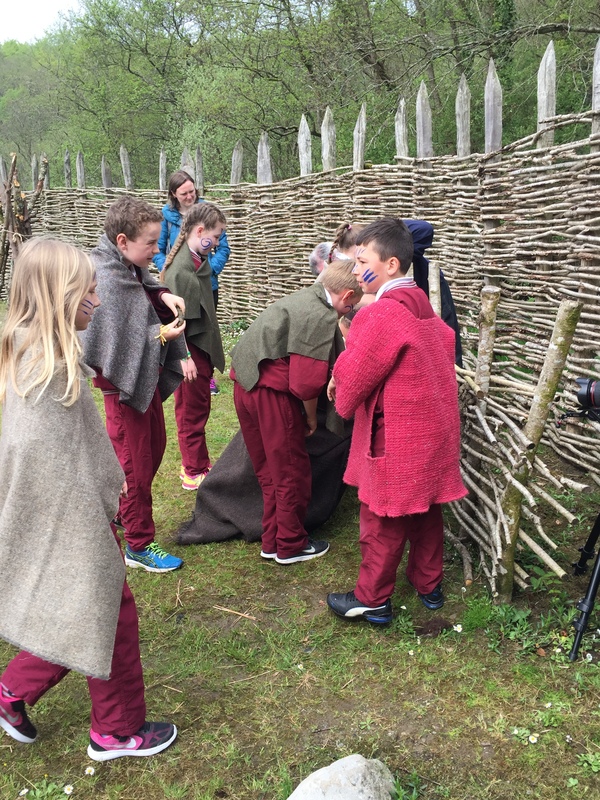 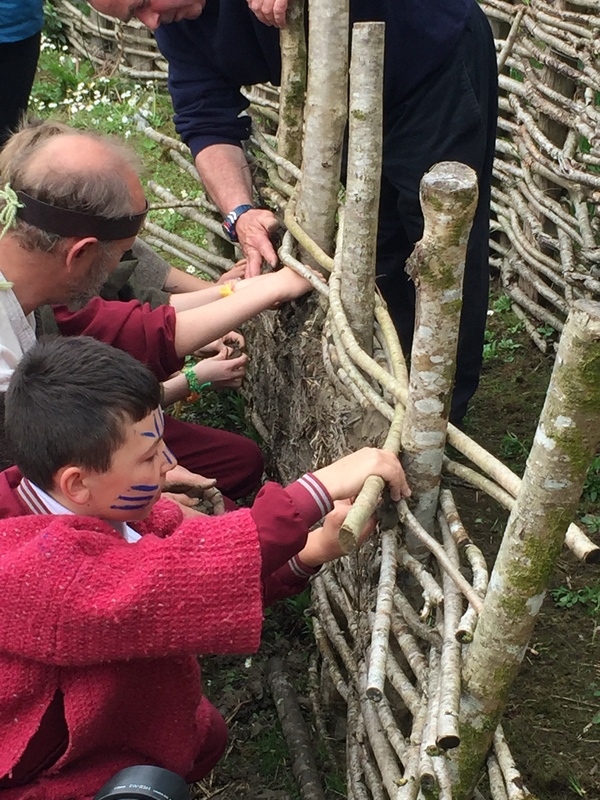 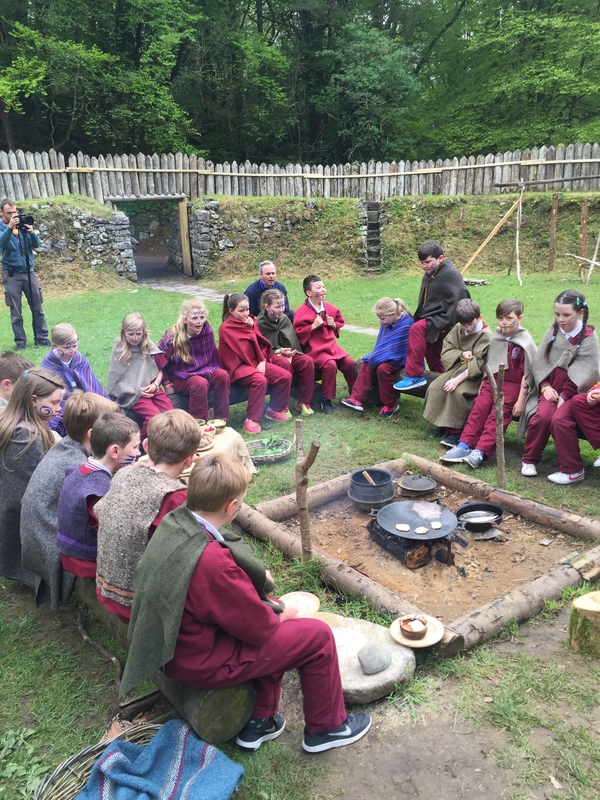 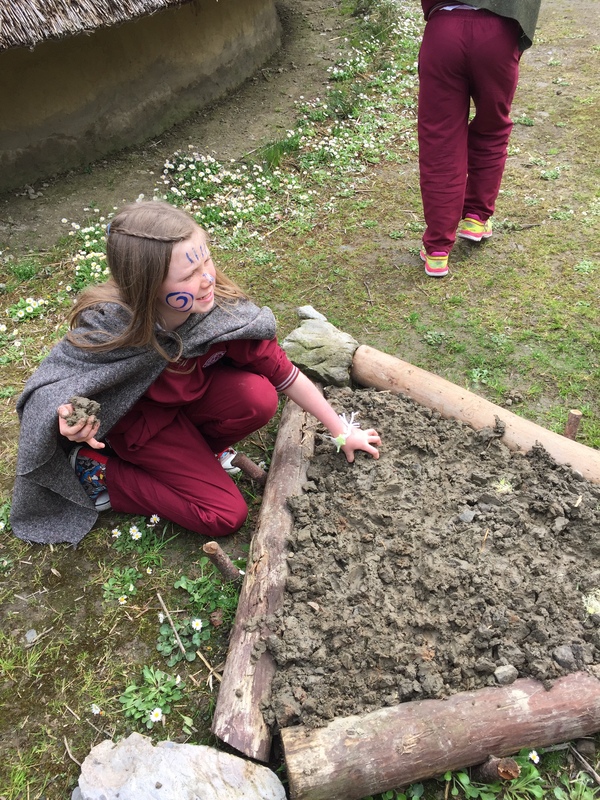 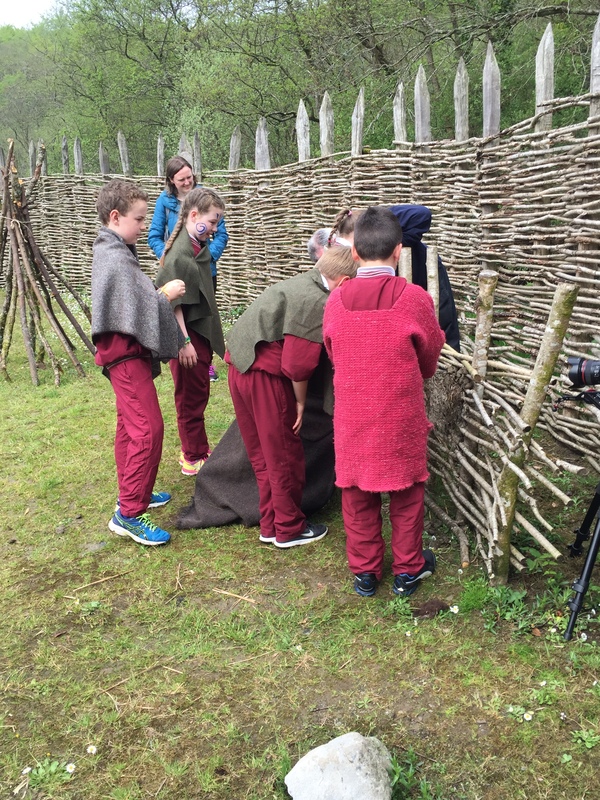 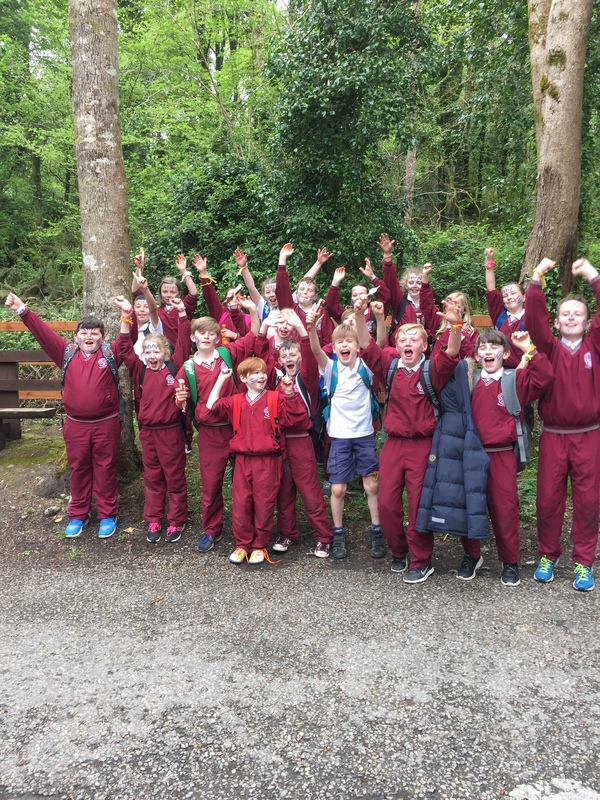 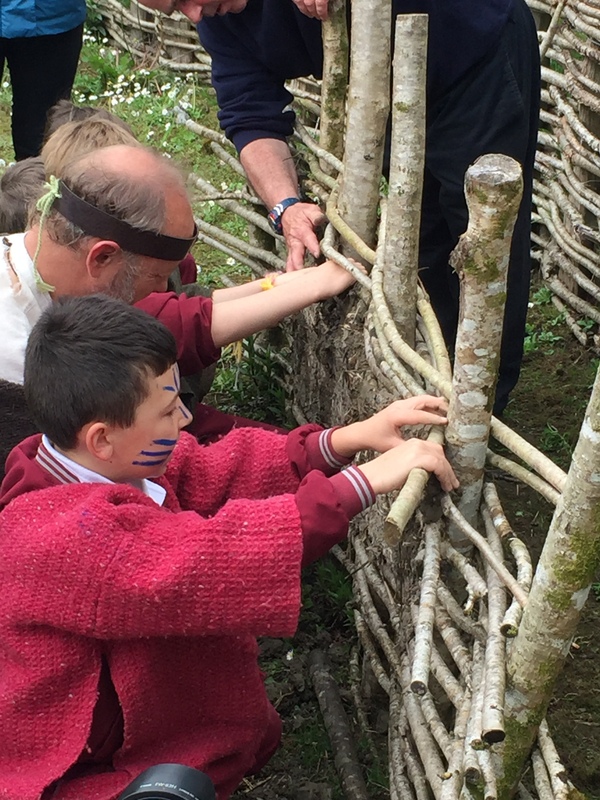 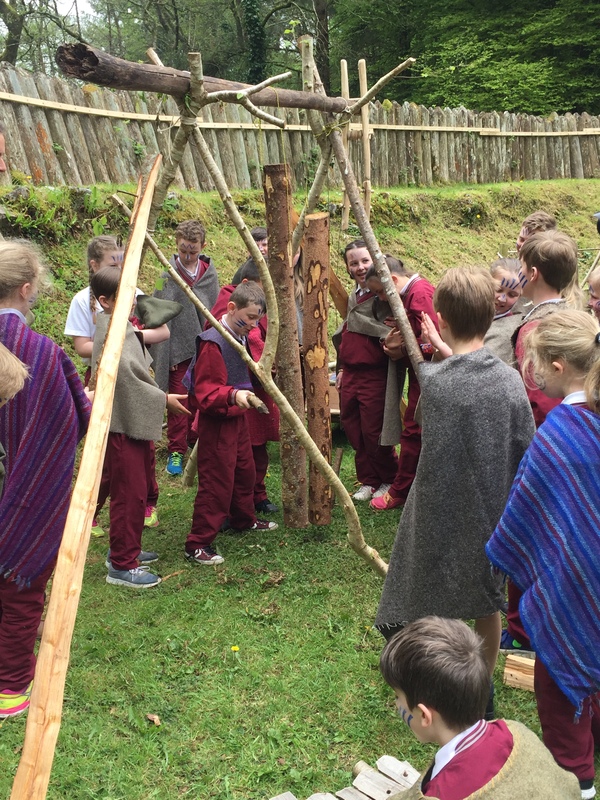 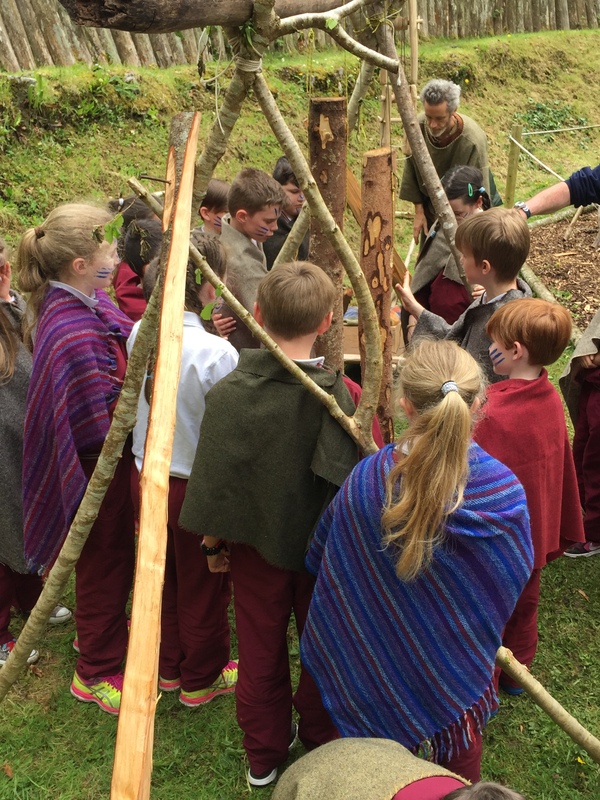 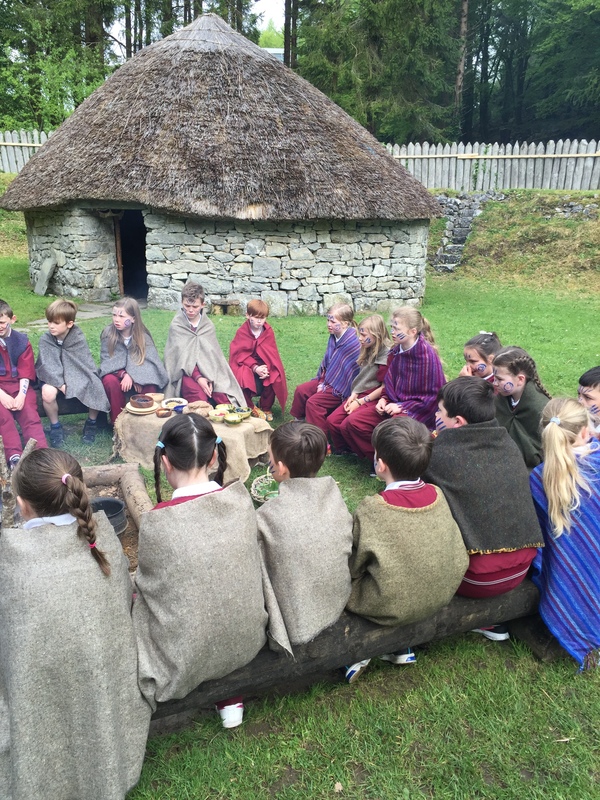 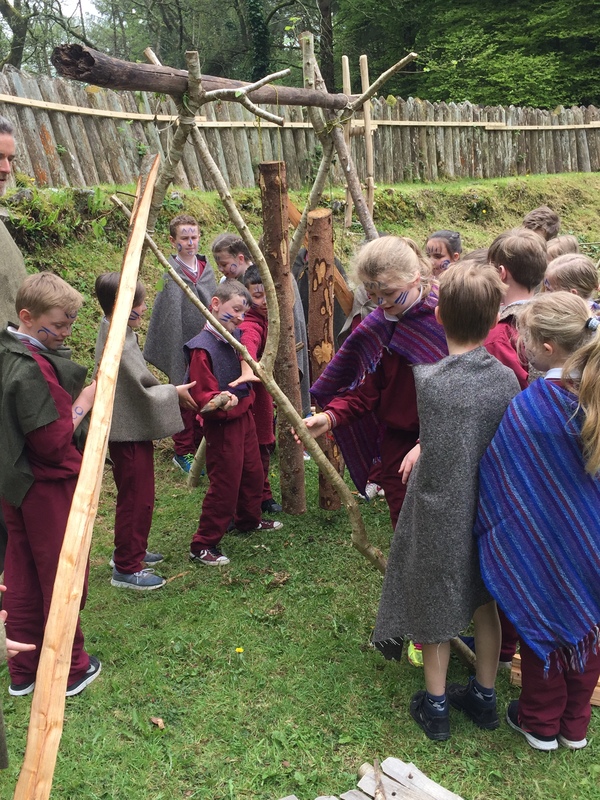 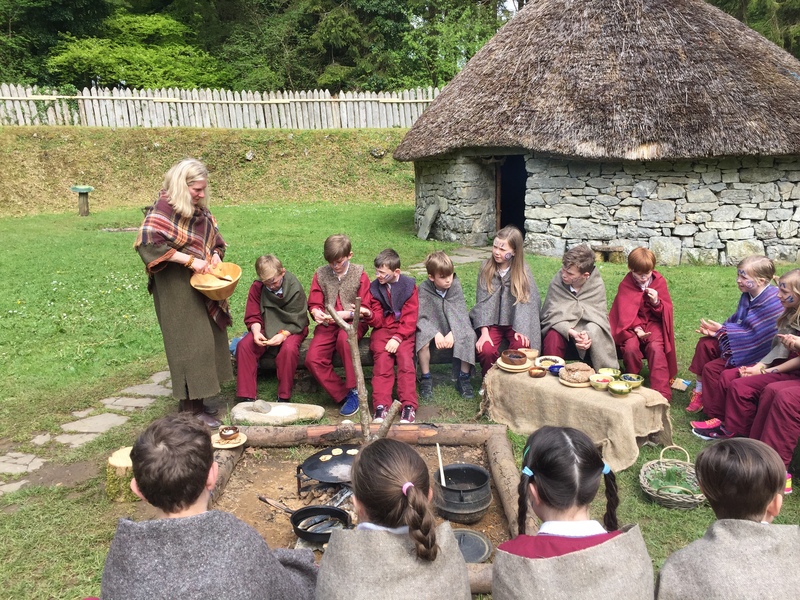 Third class in Craggaunowen | Kilmurry N.S. 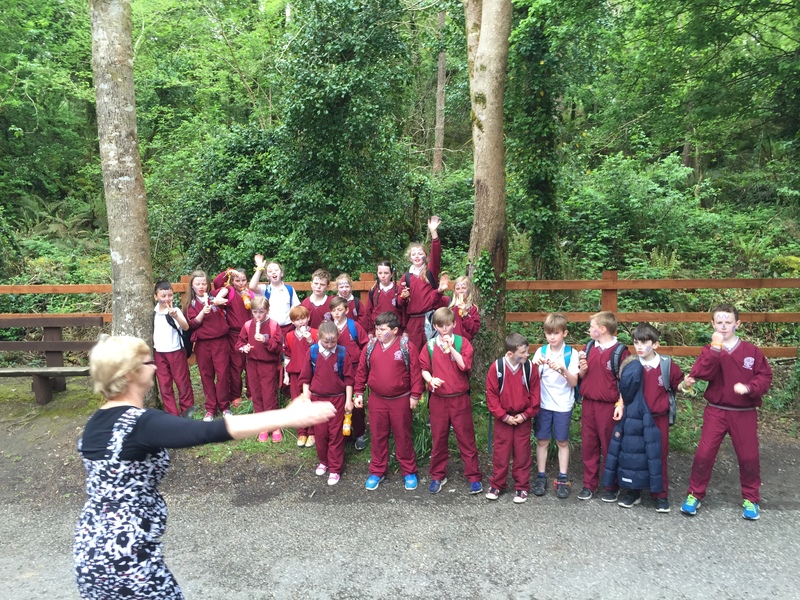 Kilmurry, Ennis, Co. Clare. 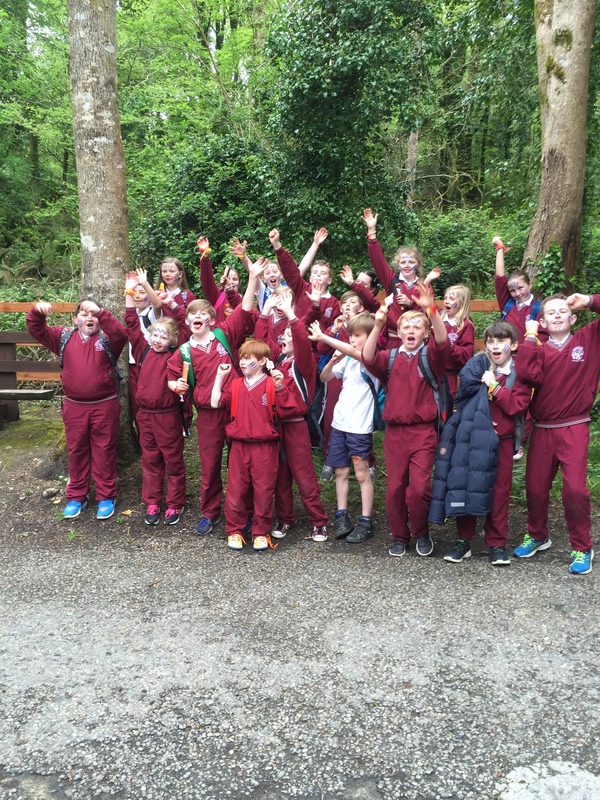 On Wednesday 11th May, 2016 Third Class from Kilmurry N.S. 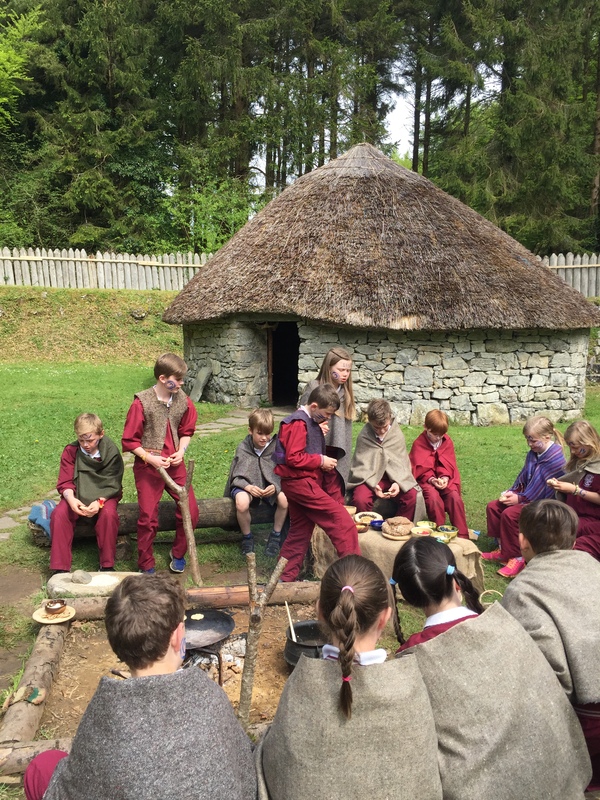 went to learn how people lived and worked long ago. 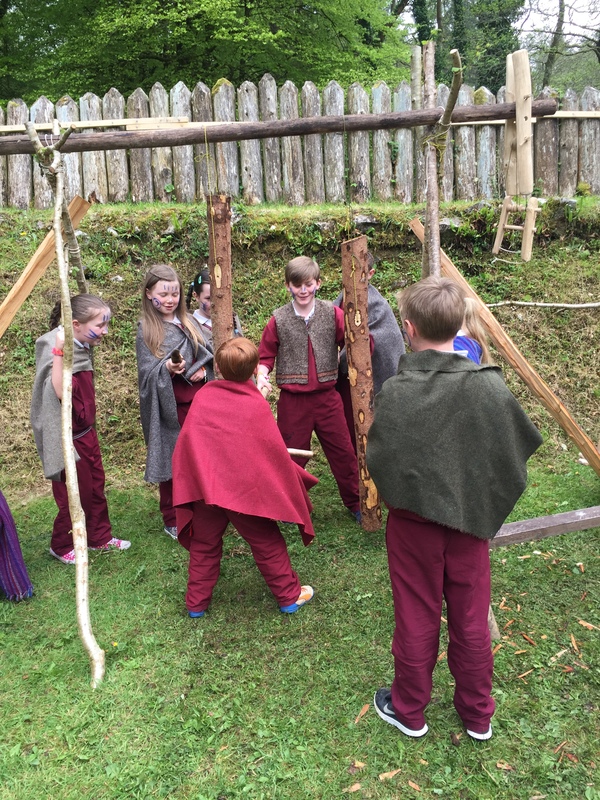 First we went to Craggaunowen castle. 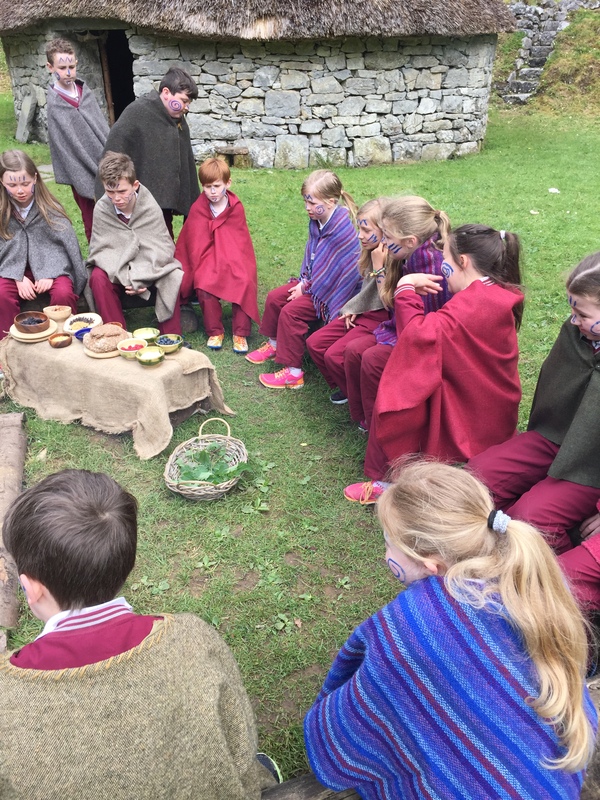 They dressed us up in cloaks from the olden days. 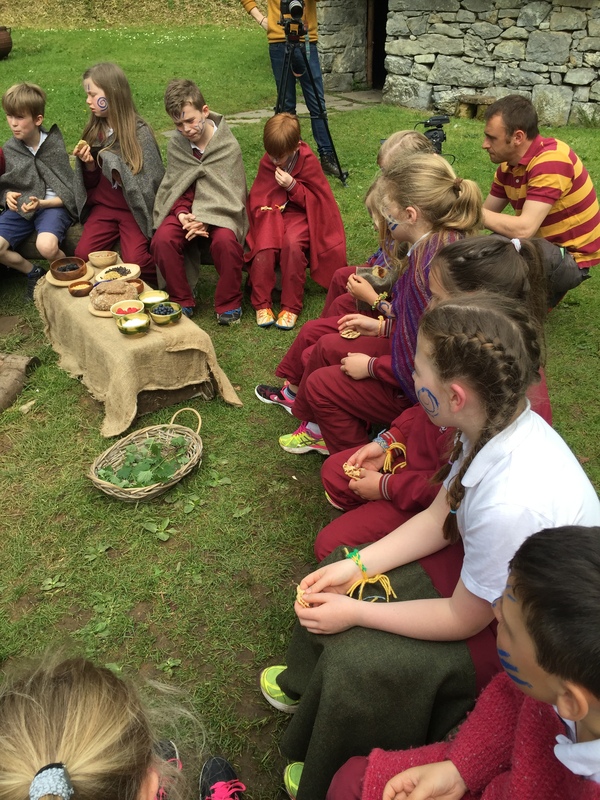 After that they showed us how to weave. We all made a wrist band. 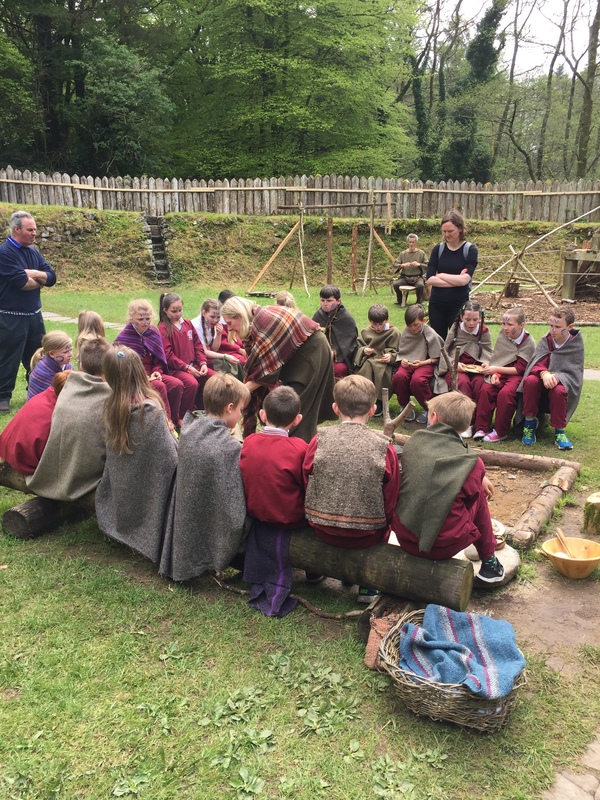 Next we learned about the history of the castle. 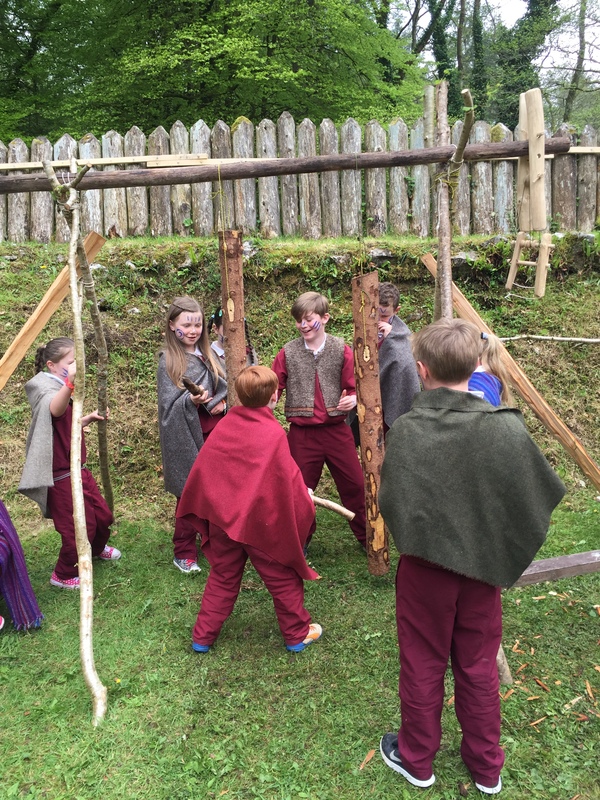 They then took us to the ring fort. 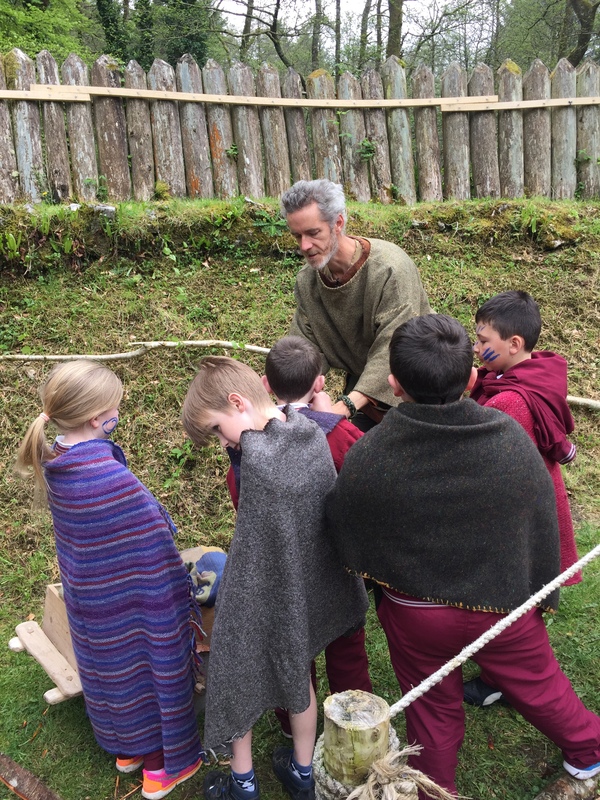 There a guy called the ‘chieftain’ showed us some of his tools. 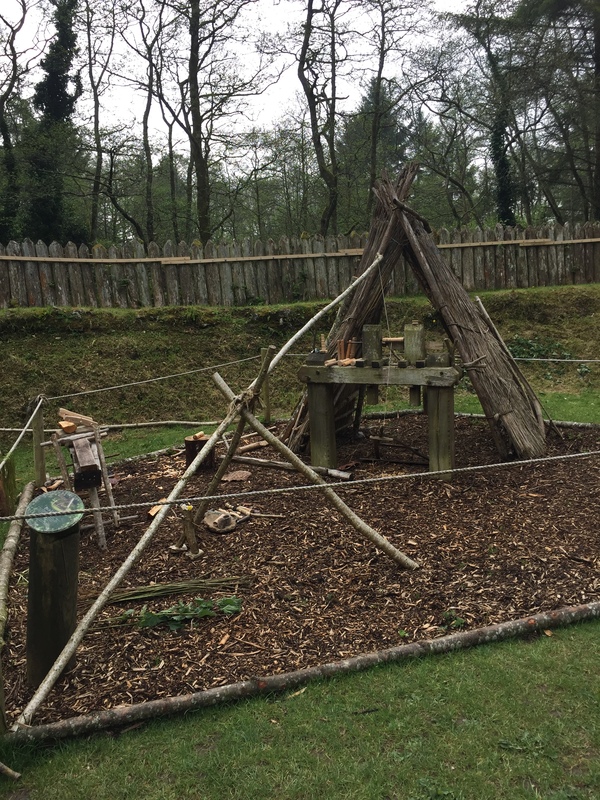 There were long sticks called wattles and mucky clay called daub. 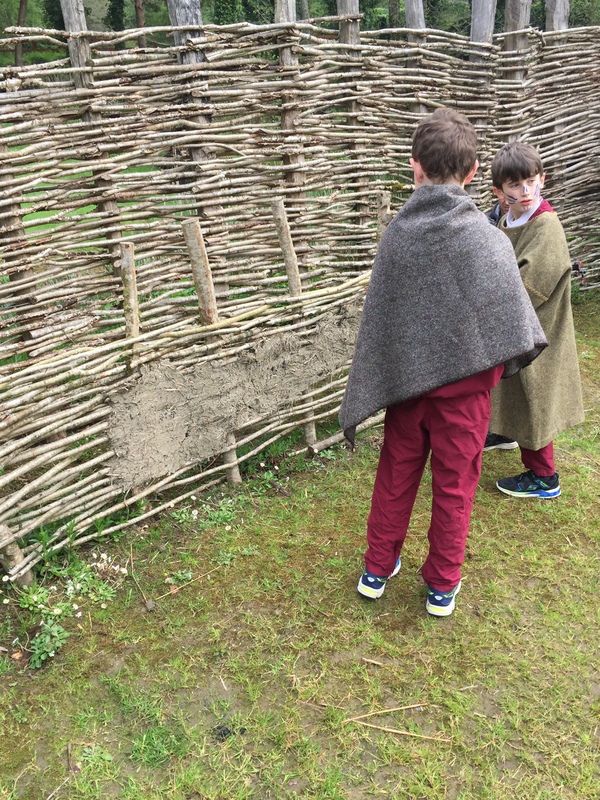 We made a wall out of wattles and daub. 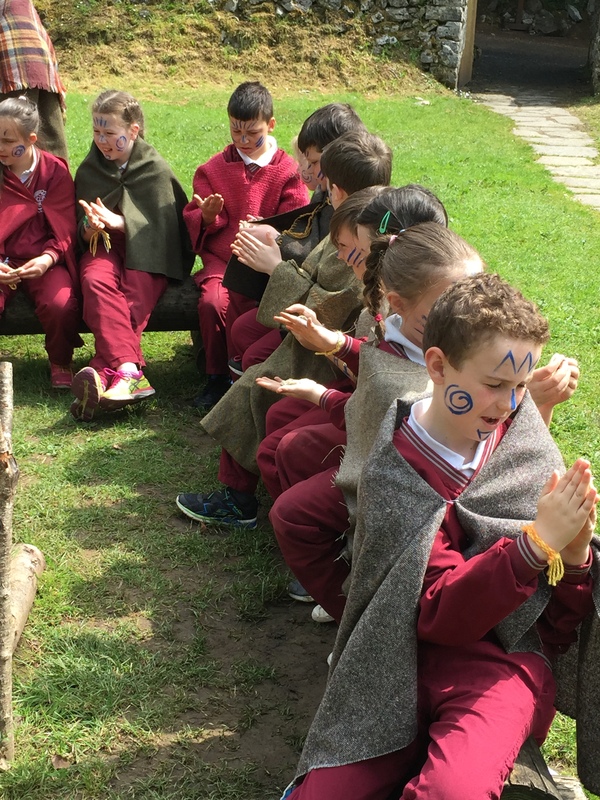 After that we went to the crannóga. 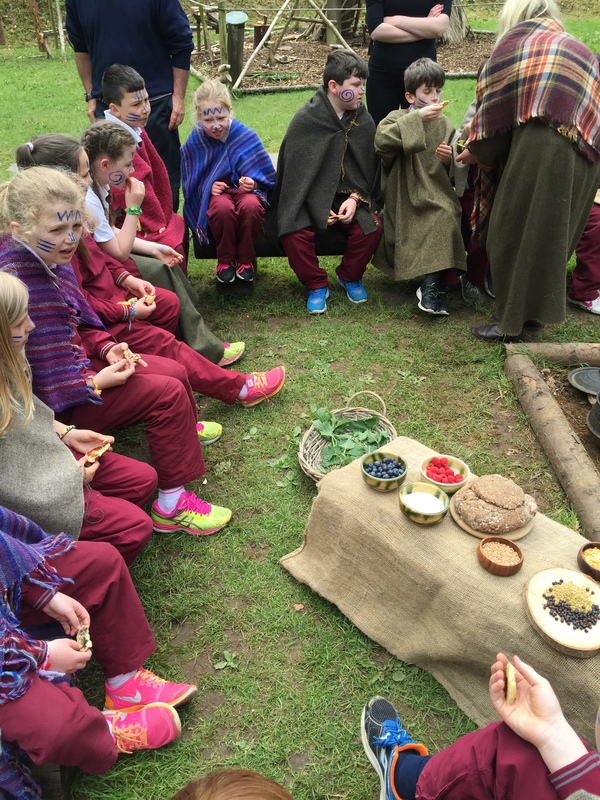 At the crannóga we made oat cakes. 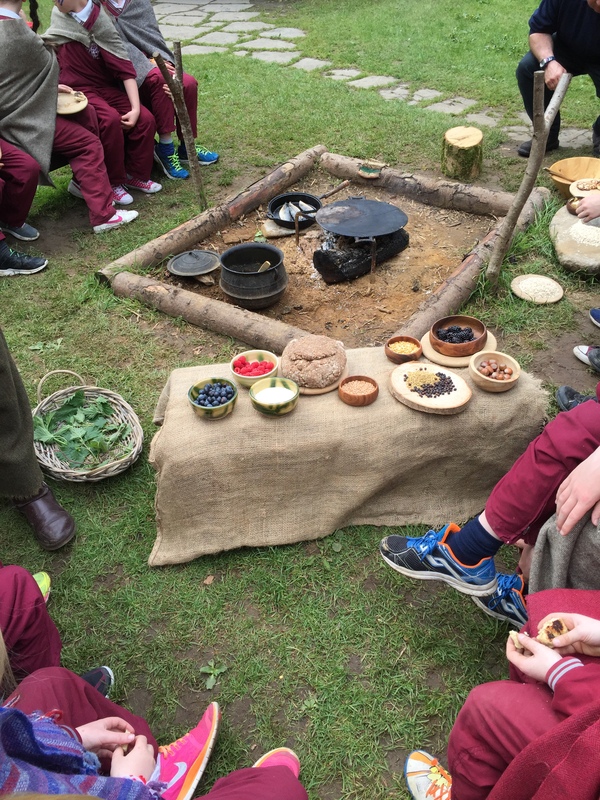 Oat cakes are little pancakes made out of oats. 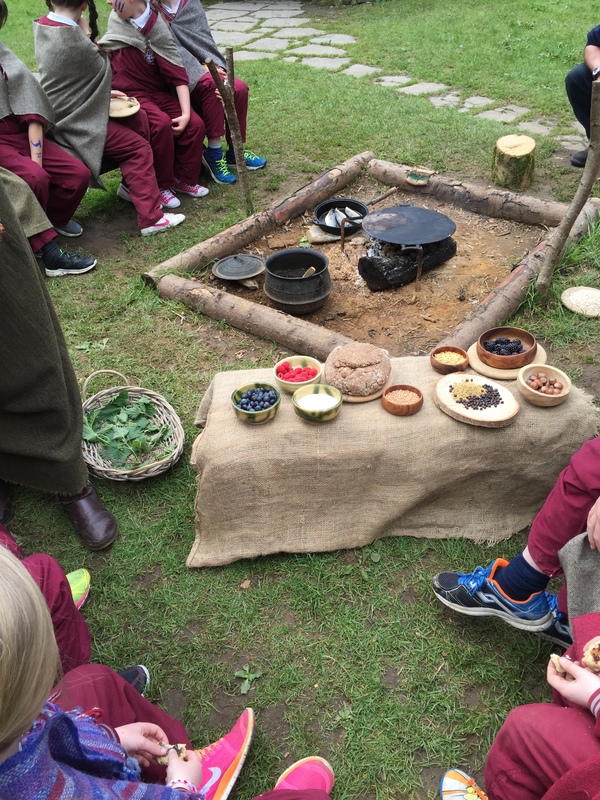 We were allowed to dip our oat cakes into cottage cheese, sour cream or wild honey. 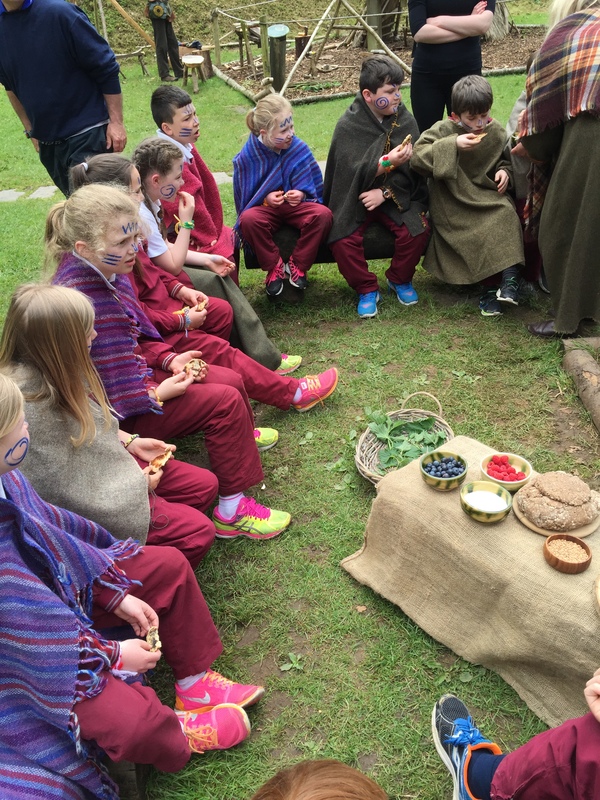 Or else we could put a blueberry, blackberry and raspberry on them. 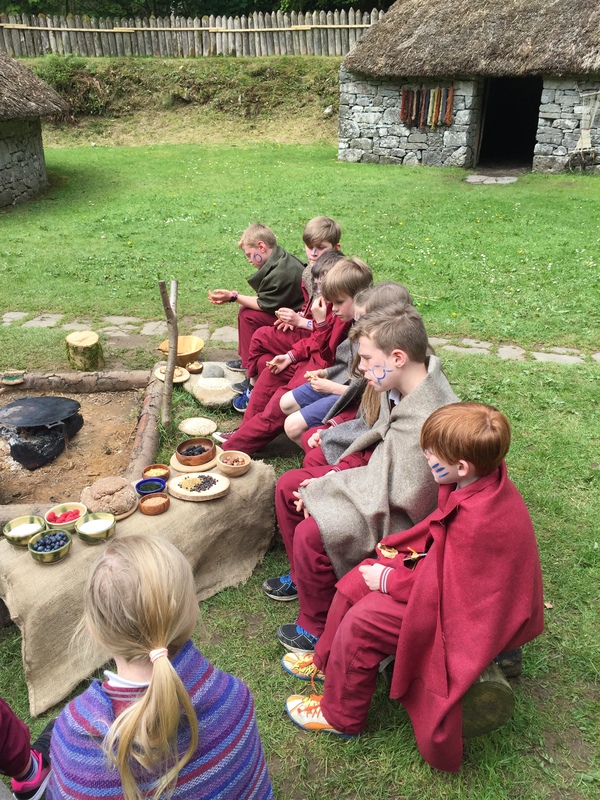 When that was done we went back to the entrance to have our lunch. 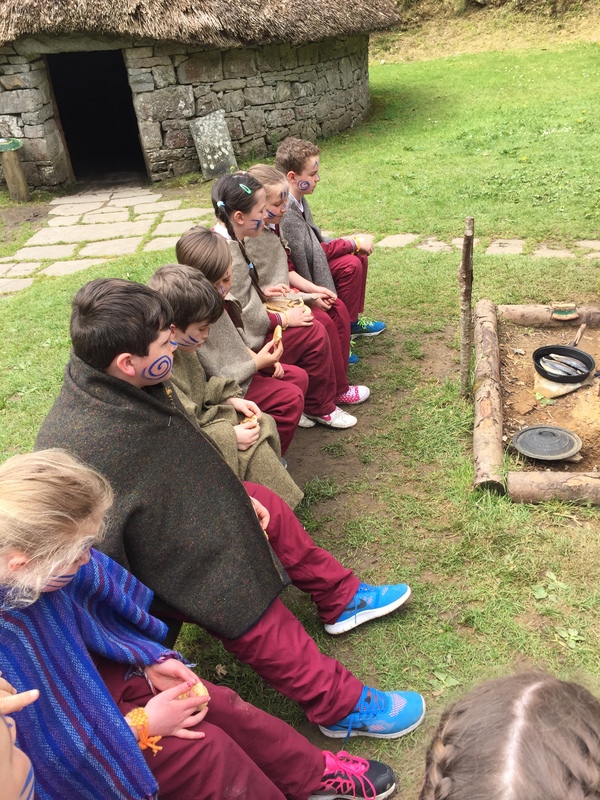 While we were eating our lunch the staff brought us out some scones. 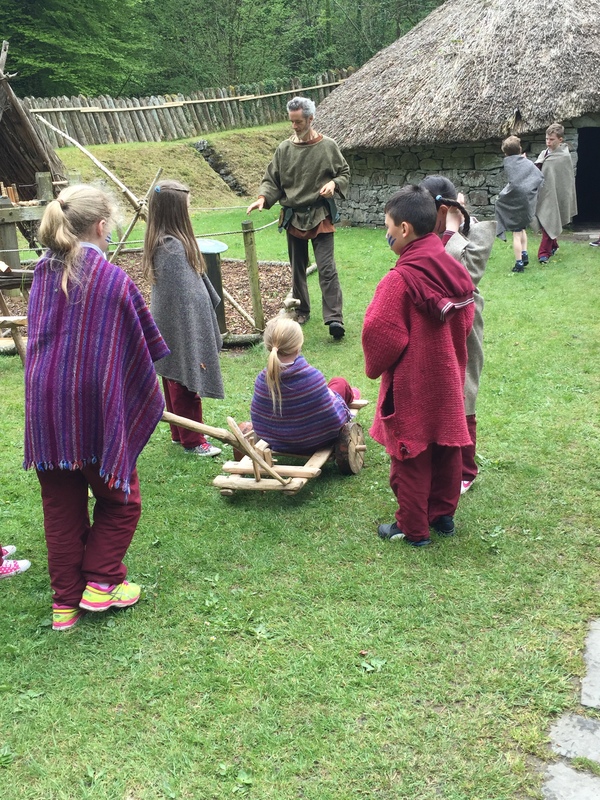 When it was time to go the staff said we could have a drink or an ice-cream free. 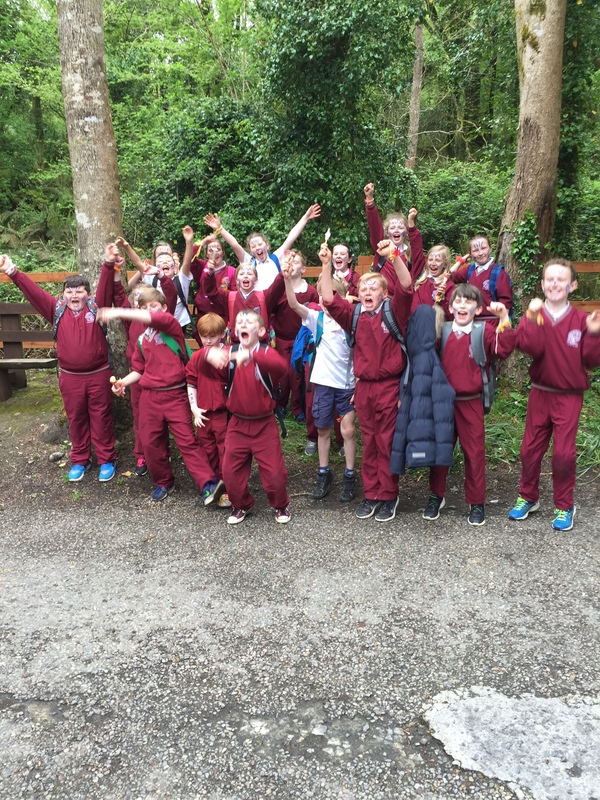 We all had a great day.